This table provides recommendations on the correct handling of private information at RIT. New York State defines private information (PI) as any personal information concerning a natural person combined with one or more of the following data elements: Social Security number, driver's license number, account number, or credit or debit card number in combination with any required security code. Digital Self Defense 103 - Information Handling fulfills the training requirement for handling RIT Private or Confidential Information. The Private Information Management Initiative seeks to identify and reduce the amount of Private Information found on RIT computers and storage devices. Private information is information that is typically used to conduct identity theft and may include Social Security Numbers (SSNs), credit card numbers, driver’s license numbers, bank account information, etc. 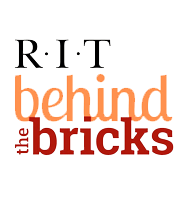 Reducing the amount of Private Information (PI) will help safeguard the RIT community against identity theft and will help RIT comply with relevant state and federal laws. Social networks are great. They do present some security challenges and risks, however. This guide describes the dangers you face as a user of these websites, and provides tips on the safe use of social networking and blogging services.